Marie Metz, 91, formerly of Lakeview Avenue, Port Washington died Sunday, May 22, 2005 at her Harbor Club Residence. 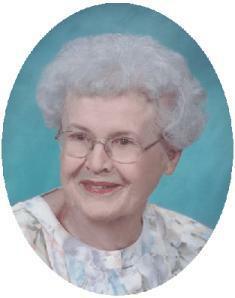 She was born September 20, 1913 in Port Washington to Frank and Mary Federspiel Huettmann. She was a graduate of St. Mary’s Academy in Milwaukee, majoring in music. She worked at the former Wien’s Dime Store on Franklin Street in Port Washington. She also worked in the office at the former St. Alphonsus Hospital, Harnischfeger Homes, Port Washington and at Simplicity Manufacturing in Port Washington. When Marie was 14 she began playing the organ at St. Mary’s Church off and on and during World War Two filled in for St. Mary’s former music director, Harold Ewig, while he was off in the war. Marie was the organist and music director for St. Agnes Parish and School in Milwaukee for over 18 years. In 1964 when St. Peter’s was established as a parish she became it’s first music director. She was respected for her talents and was named St. Peter’s first “Person Of The Year”. Port Catholic also has a music scholarship in her name. Marie was a member of the former Daughters of Isabella, Catholic Knights and Catholic Order of Foresters. She also held memberships in the Port Washington Garden Club and the Port Washington Womens Club. She is survived by her children Marion (Gilbert) Gultch of Waterford and Frank (Cathy) Metz of Port Washington; 9 grandchildren and 5 great grandchildren. Further survived by other relatives and friends. She is preceded in death by two brothers, Bernard and Edward. Mass of Christian Burial will be celebrated 7 pm Wednesday, May 25, 2005 at St. Peter Of Alcantara Catholic Church, 1802 N Wisconsin Street, Port Washington. The Rev. Pat Wendt and Rev. Paul Lippert will concelebrate Mass. Interment parish cemetery. Visitation after 4 pm Wednesday AT CHURCH.